Since 1984 we have been officially known as the Auckland Volunteer Fire Brigade: this is the name of the entity on the document forming our Agreement of Service with, first, the New Zealand Fire Service Commission and, from July 1st 2017, with Fire and Emergency New Zealand. We are thus officially the Auckland Volunteer Fire Brigade, members who formerly served as Fire Police and, from 2011, as members of Operational Support. We have inherited the name of a community organisation which began in the very early days of Auckland. Settlers were aware of the dangers of fire in their new town: "Kolsthabe", writing to the editor of the Daily Southern Cross newspaper on 15th February 1848, said the one fire engine (manual pump) in Auckland was insufficient, and, anyway, no one was properly trained to use it. "I beg to impress upon the minds of both authorities and inhabitants the truly startling fact that, were but one house to get well on fire at either end of some of our streets (Shortland Street, for example) with the wind blowing fresh... ...that nought that we could do in our crippled state would have the least effect in tending to save the whole range of buildings from being devoured by the devouring element". "Kolsthabe" had written down what so many citizens feared. They realised that the increasing numbers of predominantly wooden buildings constructed close to each other posed a serious fire risk, heightened by lack of adequate equipment, trained personnel and water supplies for fire-fighting. When the military arrived in Auckland from Australia they brought with them their own manual pump - fire protection had been part of their duties in Sydney. The 58th Regiment (The Black Cuffs) arrived in October 1845, followed by the 96th Regiment, then the 65th in 1849 - as well as Sappers and Miners (later Royal Engineers). There's an early account of the soldiers of the 96th who in June 1845 fought a fire in Mr Buckland's slaughter-house in Albert Street. They were credited with preventing the flames spreading to adjacent properties. The soldiers also turned out when Government House caught fire in June 1848 (it was destroyed) and they were joined by sailors of ships in port -as often happened - when the Black Bull Hotel in Albert Street burst into flame in late 1853. (It was declared a "good save"). Inadequate fire protection continued. and some leading citizens were moved to action, ironically not only by local fires but news from San Francisco in mid-1853 of an inferno that destroyed the whole city. This fear of fire prompted the town elders to collect donations towards the purchase of fire engines (manual pumps dragged by firemen to fires) and equipment, saying they could no longer rely on the military and, anyway, Auckland needed a well-equipped fire brigade that they could call their own. 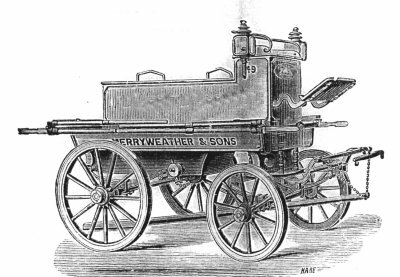 In February 1855 two new manual fire pumps (they were called "fire engines" in those times) arrived in Auckland from the Merryweather Company in London. The Government purchased another similar appliance and it was the understanding that all three engines would combine for fire-fighting and that the militia's engine would continue to be called on in times of need. Within a month a meeting was called, mid-March 1855, to organise the new fire brigades. William Daldy was appointed to a committee to oversee funds and administration, while Asher Asher and others were tasked with forming the two new brigades (or Engine Companies as they were known) to deploy the Merryweather "fire engines". These Engine Companies comprised Auckland's first organised fire brigades, noted in the newspaper of the time, with a write-up welcoming their formation as a great improvement for the safety of the city. About this time it was realised that the militia could no longer be relied on for 24/7 assistance as their war-time patrols and duties at the front were, increasingly, taking them out of Auckland: they could no longer be depended upon in numbers. The engine companies were re-organised and townsfolk signed up to meet the shortfall in personnel. The Government's new fire engine was added to the resources. At a meeting on 13th October 1857 the two companies elected new Captains and agreed to amalgamate, a move much anticipated. Asher Asher was unanimously elected to lead the one organised fire brigade. The Auckland Volunteer Fire Brigade was born. It combined all available fire-fighting equipment ready for action. The new brigade's formation was well publicised, the Press welcomed Asher Asher, as the first Superintendent of Auckland Volunteer Fire Brigade, noting that he was the first to hold this office anywhere in New Zealand because Auckland had the first such fire brigade. On 7th July 1858 the exact scenario foreseen some ten years earlier by correspondent "Kolsthabe" was played out. Shortland Street was the scene of an intense and lasting fire that ripped through Shortland, High, O'Connell Streets and Vulcan Lane, spreading across to Chancery Lane, consuming some 20 shops, 17 dwelling-houses, 3 hotels and public facilities like the Police Station, old Post Office, theatre, stables, the blacksmith's and the town's dispensary. Again the men of the 37th Regiment greatly assisted the fire brigade: they hastily arranged explosives and blew poor Mr Henry Keesing's house to smithereens, thus creating a fire-break to cut off the flames and save premises along Shortland Street. In the middle of it all Mrs Ogivie went into labour and for safety she was moved from her home to the Auckland Hotel where she gave birth. But the flames soon threatened the hotel and she, along with her infant son, were taken to safety. 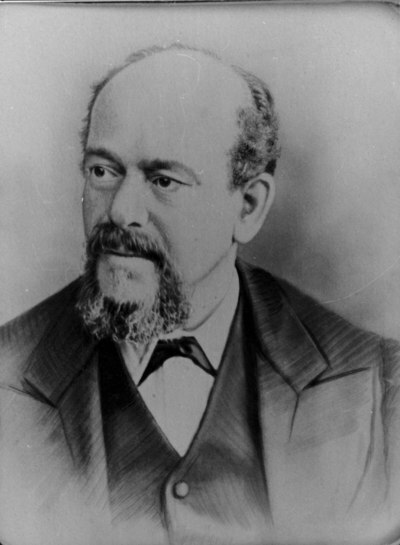 He was named William Phoenix Ogilvie, later a successful Auckland businessman. He died in 1947. Asher, at the inquest into the fire, said "it was just unfortunate that, despite 3 engines working together, along with the Army's outfit, we could not get an early hold on the flames and much of the business district around High Street was gutted. It was a devastating fire, I'll say, with huge losses". This disaster immediately galvanised the authorities and townspeople into better fire protection. but lessons went unlearned and there was more talk than action. Brigade members and Asher Asher, said they lacked support from the community and Council, and repeatedly resigned, then rejoined. Promises made to him were unkept. Plans for a better water supply for firefighting went unfulfilled and insurance companies formed their own trained teams to respond to fires. In November 1858 the 58th Regiment returned to England, thus no longer available to help at fires. The Fire Brigade was "in abeyance" at the time and it was left to police to attend to fires. The Brigade consolidated in 1862 when William Daldy was appointed Superintendent, holding this position only until he, too, became disheartened at a lack of support for the brigade. The turbulent era for fire brigades in Auckland was to continue. There were years of turmoil, arguments about who should have command of the brigades, who should run the engines and who should pay for them. Asher made several more attempts to reshape the brigade: he found it difficult, nigh impossible, trying to lead such troubled groups. He helped form a new brigade in May 1865 but it failed and he tried again in March 1866 which had a longer life, but in September 1868 it, too, disbanded. Founding Superintendent of the Auckland Volunteer Fire Brigade: the first in New Zealand. Fire protection was a hit and miss affair until a Municipal Brigade was formed in 1874. John Hughes was appointed as Superintendent. Asher, hardly thanked for his leadership and work, went to Tauranga where he resuscitated an ailing brigade and was a leading light in the town's fire protection for 20 years. Note: Visitors to this page of our website will notice changes regarding the formation of the first Auckland Volunteer Fire Brigade and who led it. Lesley Dugdale, in her book, "Captain William Crush Daldy", says Daldy was "the first captain of the first Volunteer Fire Brigade" in 1849. This claim is made in a manuscript quoting Daldy, an auto-biographical account written in his aging years. This revised page on our website now reflects research showing that Daldy was mistaken when he recollected those events surrounding the fire brigade. 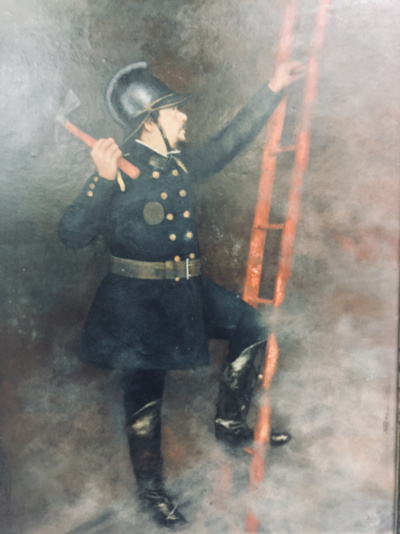 Daldy was not closely connected with the Brigade until 1862, sometime after the amalgamation of the Engine Companies took place in October 1857, the date Auckland's first volunteer fire brigade was formed with Asher Asher elected as its first Superintendent.